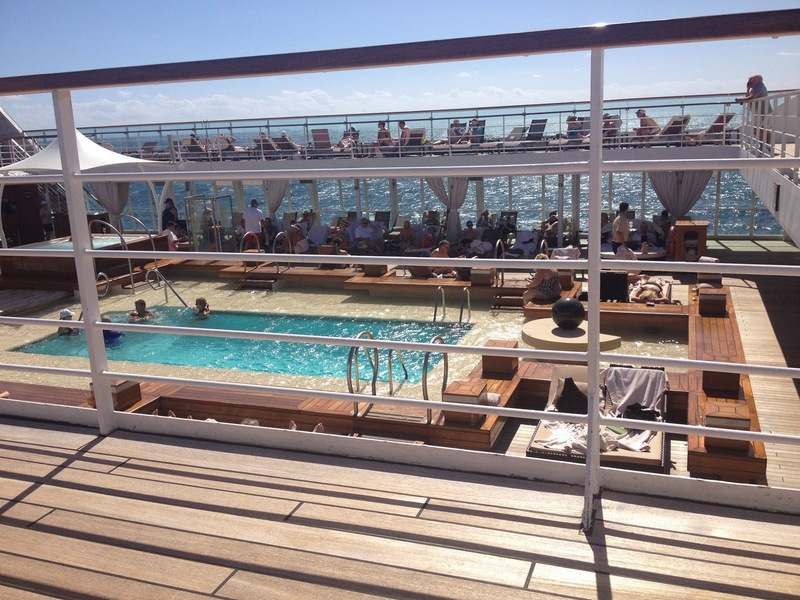 I had two days to explore the Seabourn Sojourn while we were at sea. 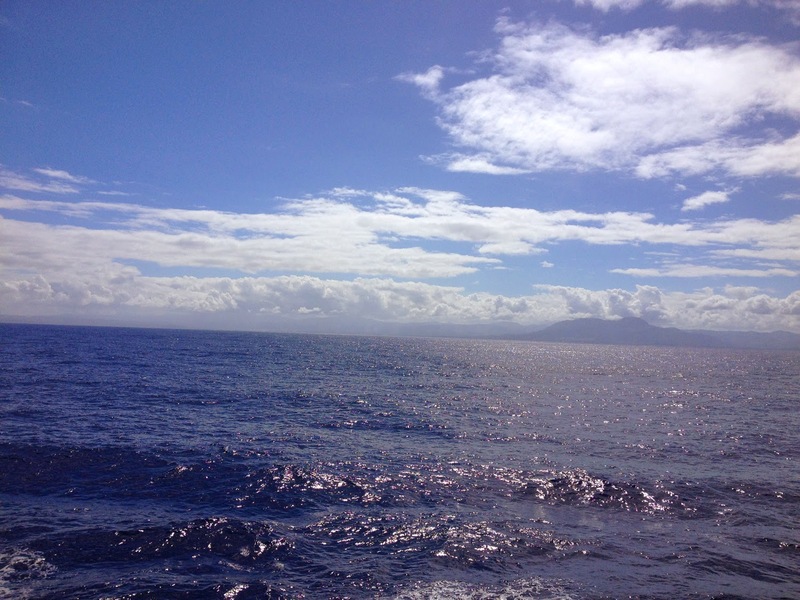 I had never been on a small luxury ship before so I was excited at the prospect. I was also ready for some rest and relaxation with my mom. Mom decided to sleep in, but I couldn’t wait to hit the ocean air. 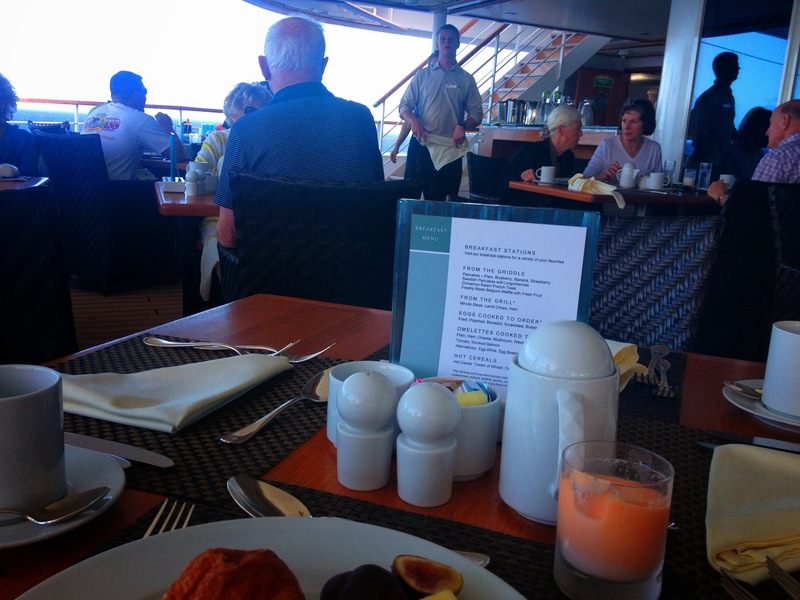 I started with breakfast outside at the Collanade Restaurant, where I was able to pick up some fruit, a croissant and a smoothie (they had a different fruit smoothie each day) and order an omelet from the waiter. I went back to the room to change into my bathing suit and headed to the pool deck. Unfortunately, there weren’t any empty chairs around the pool. It was a perfect 80 degree sunny day I couldn’t resist and was able to find a chair on the upper deck overlooking the pool. Waiters came around the lounge area frequently with cool towels, sunblock, water bottles, fresh fruit, cocktails and ice tea. 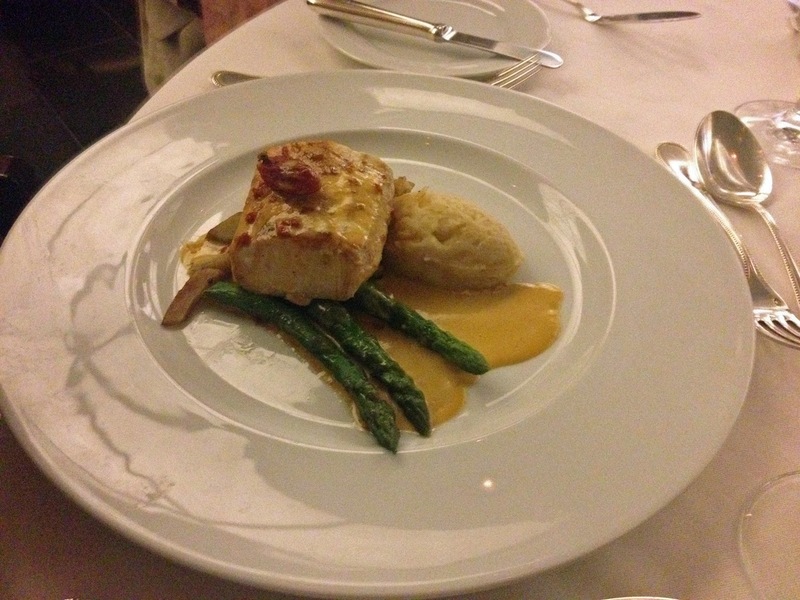 As part of the Seabourn’s all-inclusive program, everything was included. It was quite nice not to have to stop and sign for every little thing. After I got some sun it was off to the spa to meet Candace, the manager, for a tour. 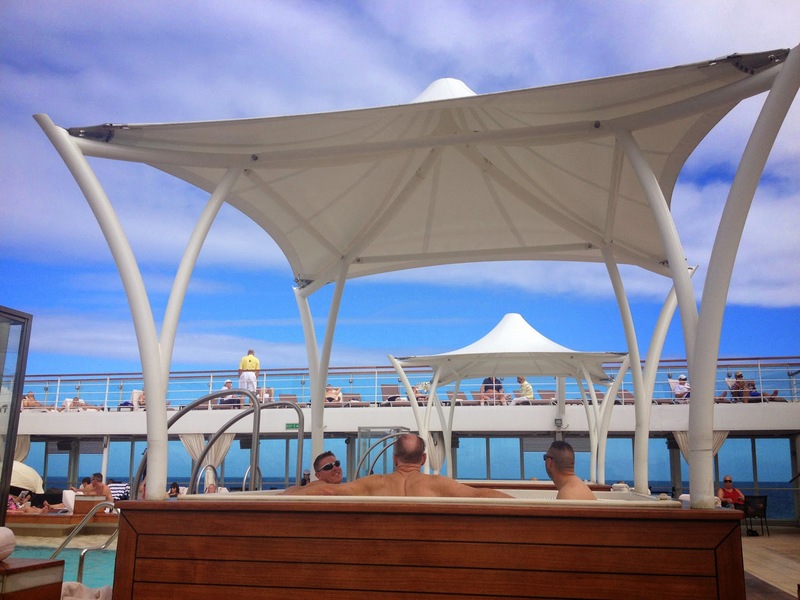 Despite the fact that this is a small ship, it was the Sojourn has the largest spa I’ve seen on a cruise. I took a tour and made arrangements for mom and I to come back for treatments in the afternoon. I got back to the room to have lunch with Mom. There no restaurants open after 2:00 for lunch, but we were satisfied with a room service order of Prosciutto & Melon with a Cheese Plate before going to the spa. Mom really enjoyed her massage while I read and relaxed on a heated lounge chair (heaven) in the Spa Villa. 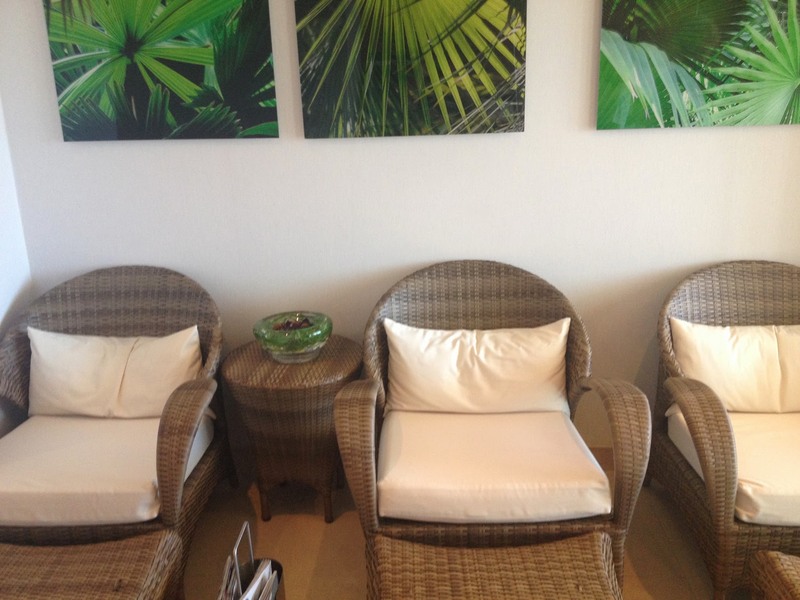 I then went into the spa for the Elemis Frangipani treatment. The scalp massage was wonderful and my hair was soft and shiny after the oil was rinsed out and it was shampooed, conditioned and blown dry. I took a short nap before we went to the Observation Deck for the piano music and hors duerves. We met a nice couple from Toronto and then went to dinner at the restaurant. Mom went seafood all the way with a shrimp cocktail and the fish special of the day, Pan Basted Wahoo. I didn’t like (or couldn’t eat) most of the selection and decided to go with the vegetarian Vegetables in Phyllo and was a bit disappointed that there was more steamed vegetables than Phyllo or sauce. I made up for it with an Apple Tartlett with vanilla ice cream and a tiny linzer tart for dessert. We enjoyed the show, an impersonator of Divas, from Marlena Dietrich to Liza Minnelli before heading to our room for the night. 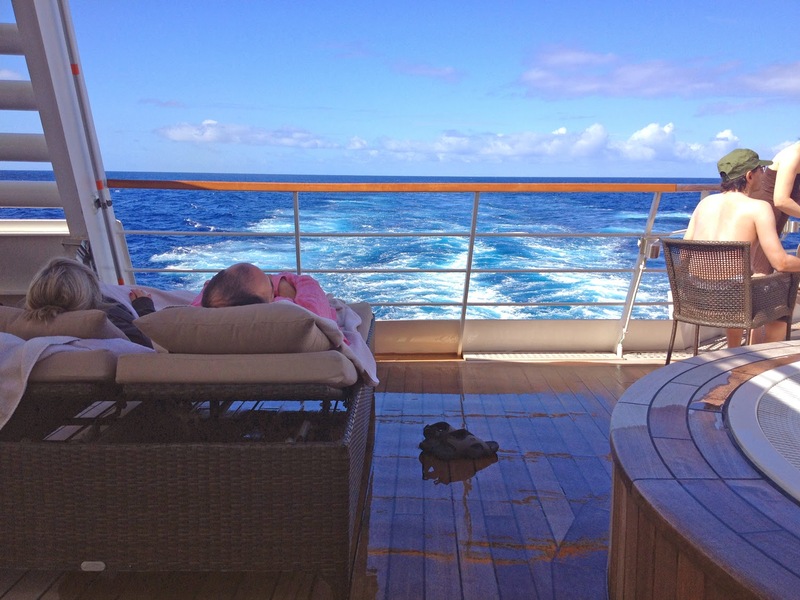 For the second sea day, I headed to the small pool and extra whirlpool on deck five and relaxed for a while. It was a bit windy, but I could still feel the warm sun. 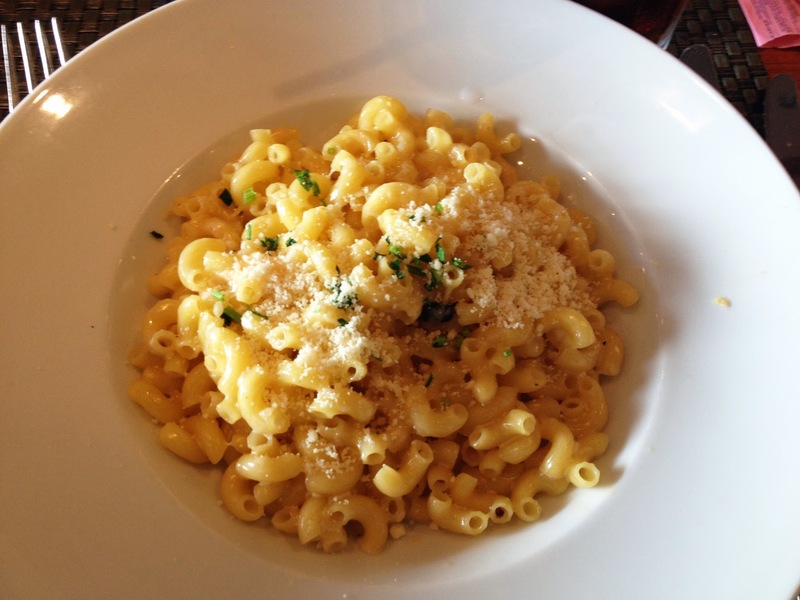 Mom and I went down to the Collanade for lunch and made a good choice in the Waldorf Salad and Macaroni & Cheese with ham. 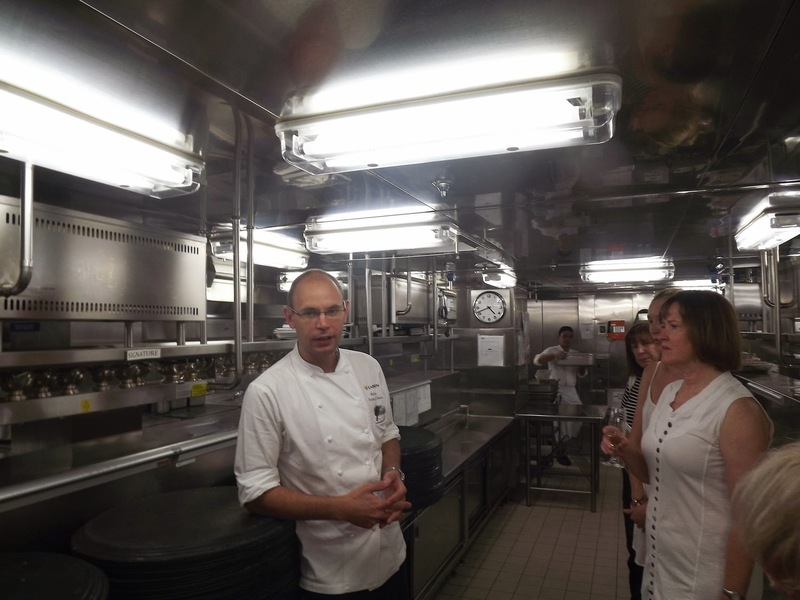 I did a tour of the kitchen in the late afternoon with Executive Chef de Cuisine Martin Kipling. In Seabourn fashion, we were given champagne and caviar at the start of the tour. I found out that there were actually two duplicate kitchens to insure food was prepared and delivered in a timely manner. I also had quite a surprise when I found a picture of myself hanging from one of the shelves! 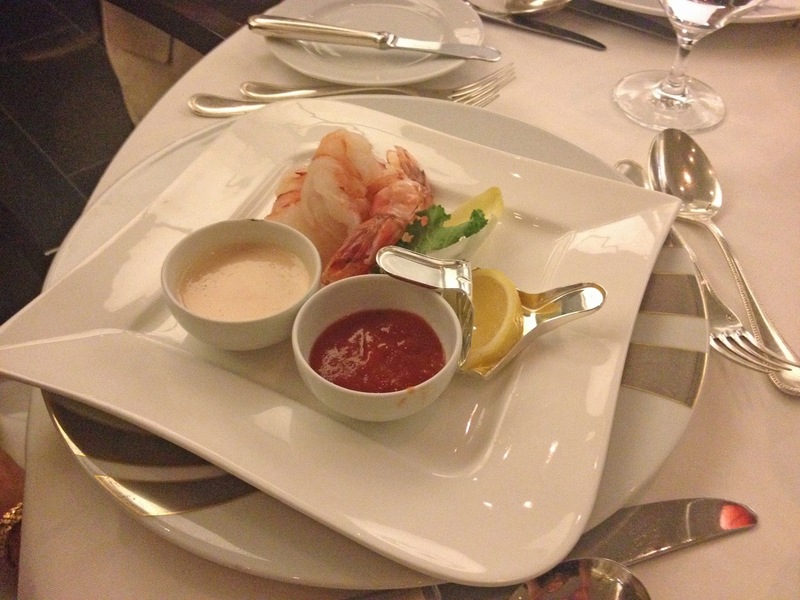 It turned out that Seabourn had photos of everyone with severe allergies so the waiters were all aware. We were invited to have dinner with the captain and his wife. They were friendly and down to earth and I really enjoyed the conversation with them and a small group from Canada that sat with us. 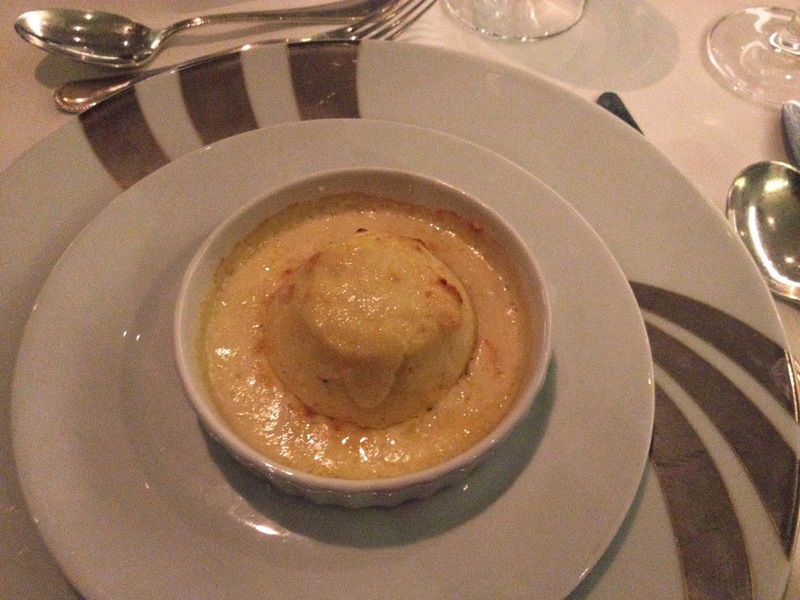 Dinner was just perfect: Twice Baked Goat Cheese Soufflé, Mushroom Parmesan Broth and Rack of Lamb. Before the actual dessert came, we were given milk and dark chocolate covered ice cream pops. It was hard not to have more than one, but I knew more sweets would arrive soon. 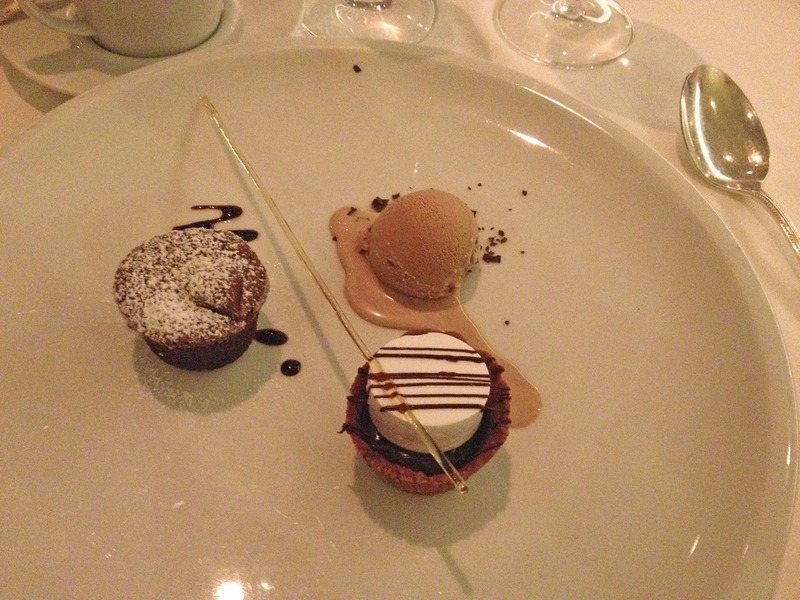 Dinner ended with an incredible Trio of Chocolate that included ice cream, a soufflé and a s’more with a homemade marshmallow with chocolate inside a graham cracker. It was as incredible as it sounds. We finished the evening in the Grand Salon listening to concert pianist Tomono Kawamora and resting up for our first stop aboard the Seabourn Sojourn – San Juan, Puerto Rico.